Simply spectacular. 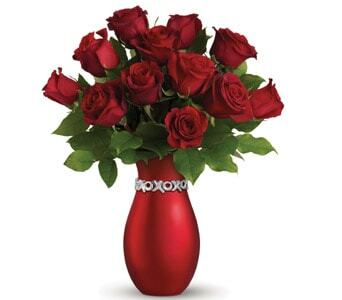 A dozen red roses arranged to perfection in an exclusive chic red ceramic vase adorned with our silver XOXO charm. 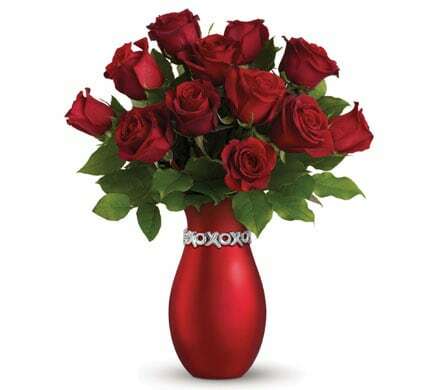 A sure-fire recipe for romance!